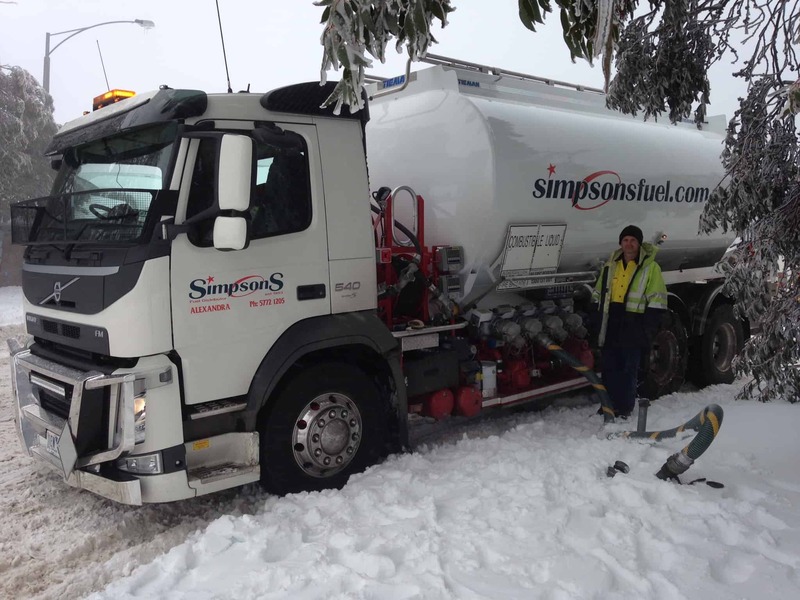 I & M Simpson & Son Pty Ltd has a long history of delivering high quality bulk fuel and oils. 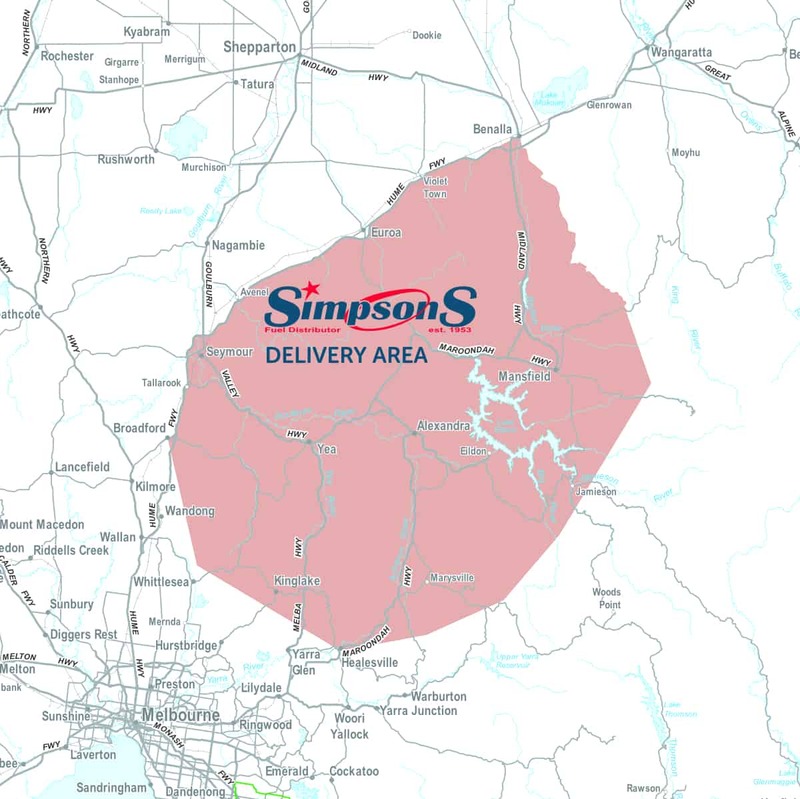 Our bulk fuel storage facility situated in Alexandra enables a fast and efficient service to all areas of the Murrindindi Shire and most areas of the Strathbogie and Mansfield Shires. We operate five bulk fuel delivery road tankers manned by experienced operators. Our tankers range from 10,000 to 45,000 litres in capacity. Our customer base includes primary producers, transport companies, earthmoving operators, logging & haulage contractors and many private customers, some who have been with us for over fifty years. We regularly make deliveries to remote locations such as logging coupes and ski resorts. By arrangement, fuel deliveries are available to order 24 hours a day, 7 days a week. If your business would like to open a bulk fuel monthly account please contact our office on (03) 5772 1205. A copy of our Credit Application Form will be forwarded to you, or click on the link to download a pdf version. 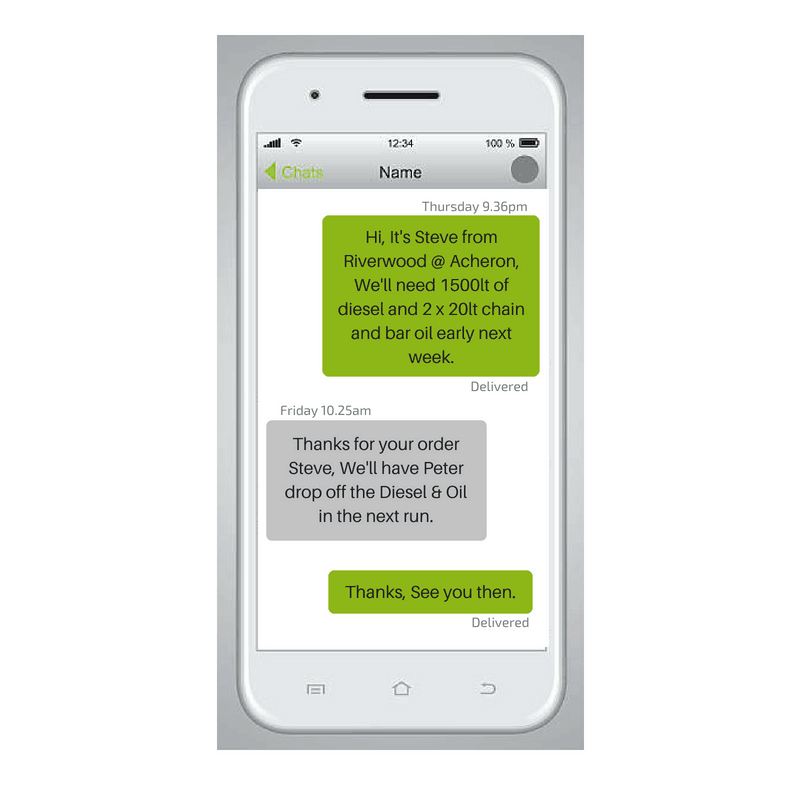 Order your bulk fuels and oils on the run with our simple to use SMS phone texting service; or by email at your convenience. Did we drive past your property today? Large or small loads, we have you covered. We understand how important the right fuels & lubricants are to keeping your business running. With customers ranging from snowfields to bush logging coups our trucks cover tough terrain to ensure you receive the most reliable service possible. Don't pay delivery fees or run around to find the lubricants you need. We'll drop them off with your next fuel delivery.